The rapid advancement of innovative technology today is propelling fundamental changes in several, if not all, industries. Due to the speed of current breakthroughs, this process is now widely referred to as the Fourth Industrial Revolution. As one of the world's largest industries, the healthcare sector is greatly affected by this technology-driven transformation that is expected to change our everyday lives more than anything humankind has ever seen. 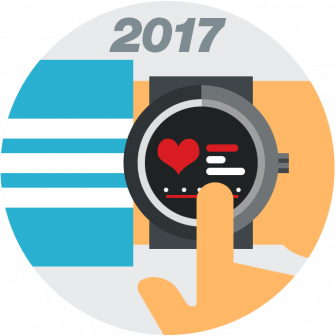 As 2017 begins, let's take a look at what trends are shaping the future of digital healthcare, and what are the medical technologies that are expected to disrupt or have the most significant effect on the health industry this year. The first thing to note is that technology solutions from other industries have started to greatly influence healthcare. To name just a few, wearables or 3D printing weren't invented with medical uses in mind, but are increasingly being adopted in various areas of a new health economy. Technology is an enabler and facilitator of widespread change in the industry, and the Internet of Health Things allows digital healthcare to become an integrated part of our lives. Essentially, these innovations aim to reduce the time we spend in hospitals, and instead move health awareness and care "upstream" in our everyday lives. Cost-efficiency and performance drives the development and adoption of healthcare solutions in hospitals. The notion of value-based healthcare (a framework for restructuring traditional healthcare systems) requires transparency, accountability, and incentivizes doctors to keep their patients healthy, rather than to cure them. It seems to dovetail with the collaborative care model, an approach that integrates behavioral or mental health with general medical services. Coordinating this collaboration will be facilitated by health IT and medical technology solutions such as Electronic Health Records. EHR is essentially a digital version of your patient chart. These digital records contain your full medical and treatment history and are accessible by your doctor, wherever you are. While EHR adoption is picking up, it still poses manifold challenges for health IT developers, and is generally regarded as a growth area within the healthcare technology/IT industry. Encouraging preventative care ties in with efforts to increase patients' (or, to be more precise, users') health awareness, and this is where we're moving away from hospitals. EHR helps enhance communication between your general practitioner or other doctor, and hospitals. Therefore, it's one element of an integrated approach to healthcare. In terms of medical devices, portability, affordability and patient comfort are expected to become increasingly important, with a focus on early diagnostics and real-time monitoring. Telemedicine is one key area here: remote patient monitoring allows doctors to check up on their patients' health status via IoT-enabled solutions (e.g. smartphone apps, wearable devices, etc) to cut their time spent in doctor's offices. Taking steps towards the realization of collaborative care, this trend adds a further level of integration to connect patients with doctors, and with hospitals or clinics if the need arises. Not only does this help support patients' need to remain independent, but it also helps prevent re-hospitalization and thus contributes to the industry's efforts to make healthcare more affordable. Healthcare is moving away from the traditional paternal model, and analysts report that patients are increasingly taking ownership of their healthcare needs. Remote and virtual healthcare are gaining importance, further growing the market, as well as the technological challenge, for mobile and wearable medical devices. Home healthcare is not the only avenue where traditional medical solutions and innovative technology connect. In September 2016, Pfizer launched its Moodivator app to supplement the treatment that patients fighting depression receive. The smartphone app lets users track their mood, set goals, and establish routines, providing them with a personalized healthcare experience. This is not the only example of pharma teaming up with med tech: in August 2016, GlaxoSmithKline and Google have started Galvani Bioelectronics, a company that aims to develop devices that harness electrical signals in the body to treat various diseases. We expect to see more examples of integrating medical research with device and software development, electronics, and data analytics in 2017. So that's how innovative technology contributes to a change that some experts claim is a revolution in the healthcare industry. However, this wealth of new opportunities brings challenges to medical technology developers. To start with, Google is hardly the only tech company that we'll see entering the medical market. As emerging technologies are incorporated into healthcare, non-traditional entrants are going step in and thus shape the market and transform the roles of existing players. In order to stay competitive, established medical providers and device developers will have to gain (or hire) knowledge in these new, technology-related fields, or partner with companies that already have these skills. As the role of technology (software, data, but also emerging technologies such as artificial intelligence) increases in healthcare, cybersecurity and the safe management of this data become a crucial issue that developers will have to deal with. In October 2016, Johnson and Johnson had to issue a warning to its customers that one of its devices may be hacked, and we expect similar vulnerabilities to be in the news regularly. Limited interoperability between the increasing number of medical and health-related devices that are connected to the IoT may also contribute to the growing risk of hacking and other cybersecurity threats. Regulators are well aware of this, and are working to ensure the safety of both patients and data by imposing rigorous standards on medical developers. Which, of course, poses yet another challenge for developers of med tech products. Specifically, EU regulators are working on an overarching standard to replace existing medical device directives which have been in place since the '90s. Due to the rapid pace of innovation, these documents are losing their relevance and new guidance documents are necessary to ensure patient safety. The cost of compliance with these new standards and regulations is expected to be tremendous, and developers aim to prepare for new regulations in the research & development phase of their new products. Medical technology developers around the world are looking for ways to ensure they stay competitive in this fast-evolving digital health market landscape. Companies such as Medtronic, Fritz Stephan, DATATRAK, and others are opting for the use of codeBeamer ALM to future-proof their development efforts. 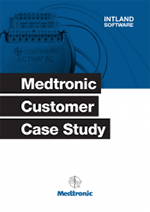 Download our Medtronic case study to find out why the world's leading med tech company "can't imagine using any other tool". Ready to start? Sign up for a free evaluation of codeBeamer ALM, or drop us a line with your questions!